We recently installed security lighting for a client at their home. Security light installation is relatively quick and easy to do and plays an important part in any effective outdoor lighting design. There are a variety of different types of security lights available including LED lights and motion sensor lights and they can play a big part in giving you peace of mind as well as making your property more secure. 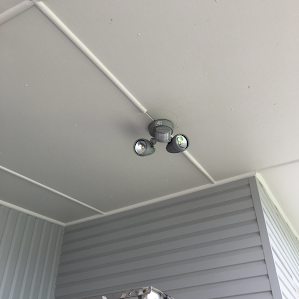 If you’d like a quote for security light installation at your home or office, give Unified Electrical a call today for a great price and a quick turnaround.